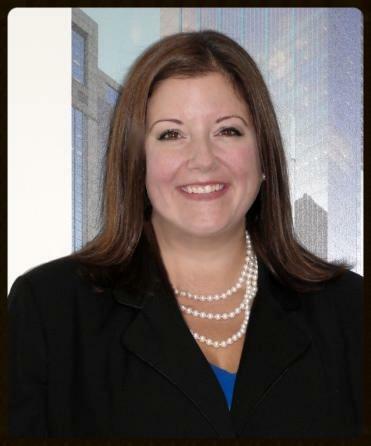 Bonnie Boden, General Manager with Sterling Bay at the Burnham Center, is the recipient of the 2016 Gold Circle Awards Property Manager of the Year. You’ve been directly involved in signing over 100 new and renewal leases in the last two years. What’s your secret to attracting and retaining happy tenants? We listened to existing tenants and to prospective tenants on tours. We made recommendations to the owner based on this feedback and worked to provide every convenience, amenity and service that we were able to offer. I toured other facilities and talked about services and amenities from other properties. We continue to be very aware of what is being offered by the competition and strive to stay steps ahead of them. We also make the tenants feel like they are part of the process and spend a lot of time with them. I am involved from the start of the leasing process, and continue to spend time with them through their tenancy, so I have developed very close relationships with the tenants at the property. Energy consumption at the Burnham Center has decreased over 30% with your leadership. What are some of the initiatives you’ve implemented to reach this goal? How do you encourage and educate your tenants to contribute to energy efficiency efforts? When I arrived at the property, I spent a lot of time reviewing performance reports, understanding trends in energy consumption and getting a handle on what we owe the occupants and what we were providing. I worked very closely with the engineering team to make small adjustments over time to realize reductions in usage without causing any discomfort to tenants AND without incurring any expense. Once we were operating the property much more efficiently, we met with tenants to discuss how they could contribute by turning off lights, unplugging nonessential equipment and chargers, and by working with us to retrofit lighting within their spaces. The very supportive owner also then allowed us to make some small equipment repairs and replacements, which resulted in an even more efficient property. It has become a personal mission, to identify ways to be more efficient, greener, and more environmentally conscious. My team is 100% on board! What qualities do you look for when hiring building team members? Once they’re on your team, how do you support them to ensure they’re at their best? I am a believer in finding the right personality to fit with the staff culture at each building. If someone is generally intelligent, creative, and open to new experiences, they can learn the duties of almost any position. I am always looking for the right personality fit for the specific team I’m leading. I have a really wonderful, hard-working team now. When a new person joins the team, I will have that person go through training and tours with all departments on site. I plan a lot of team lunches and training sessions in-house, and I encourage everyone to take classes. We set goals together, and we review them through the year, which keeps us on the same page at all times. You have oversight responsibility for 100% of the tenant improvement work at the Burnham Center. What advice would you give to our Affiliate Members about ways they can further develop valued partnerships with Building Members? I have been fortunate to work with very solid partners in this industry! I need vendors to be experienced, but also flexible and creative. We must have openness and trust. I am very hands-on, but I am not the expert in all fields, so I must have trust with the partners who work in the building. I’ve learned so much from the affiliates I’ve contracted with through the years! Throughout your membership with BOMA/Chicago, what experiences stand out the most to you? I have made lifelong friends who have been invaluable resources to me through my career. They come from all walks of life and bring different professional experiences to the table! I spend a lot of time networking and getting to know people. That is so critical! And not only do these friends help when I encounter a unique problem or have an open position to fill, but they are also experiencing a lot of the same things and offer support through the tough days! You serve as a BOMA/Chicago Faculty member and have taught several RPA/FMA courses. While clearly your students have benefited from your knowledge and expertise, what are some things you’ve learned from your students over the years? I have enjoyed teaching so much! Each time a student takes a class concept to the next level, on their own, and displays that they understand the material, I feel so fortunate to be in the position to help get them there! The students remind me of the raw enthusiasm that I had when I started in this business and the hunger I had to learn every aspect of the business. I love asking them to participate by sharing experiences from their own buildings, because I learn so much from them! Just because I am in the front of the classroom, it doesn’t mean I’m the expert on all real estate topics; I continue to strive to learn new things every day! What piece of advice would you share with our emerging leaders who want to manage their own building? My advice is to make short-term and long-term goals but be flexible enough to alter them when you must. If you write your goals down on paper, even if only you are seeing them, they are more likely to be achieved. Also, it is very easy early in your career to feel you have the skills necessary to take on larger challenges than perhaps you are capable of doing. Don’t rush to the top. Stop and try to learn at every step. Take classes! Ask questions! Take advantage of learning from everyone along the way! You don’t even know all of the things you don’t know when you are five to ten years into this business. What is some of the best advice you’ve ever received? Some of the best advice I’ve received is to manage people the way I like to be managed. People have worked harder for me when they feel a sense of ownership and personal stake in something, versus being told exactly what to do and how to do it. Also, I was encouraged to network and get to know people in the industry from early in my career. I was challenged to go to events on my own, to force myself to meet new people. That has been a goal I’ve set for many of my staff members over the years as well. Every person you meet is a potential future resource and maybe even a future friend! Last, continuing education is so critical, and this was impressed on me from very early in my career! Not only do you need to take time for learning in a more formal classroom setting, but take every opportunity to learn from service partners as well.